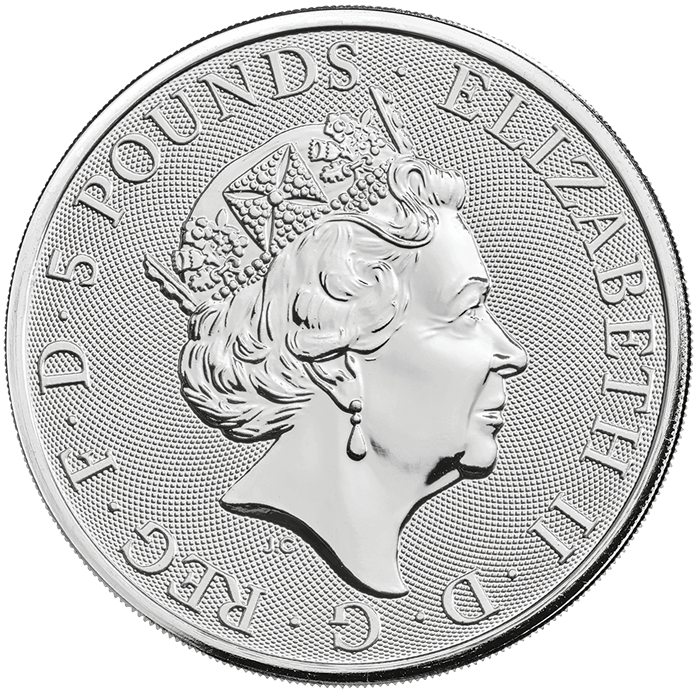 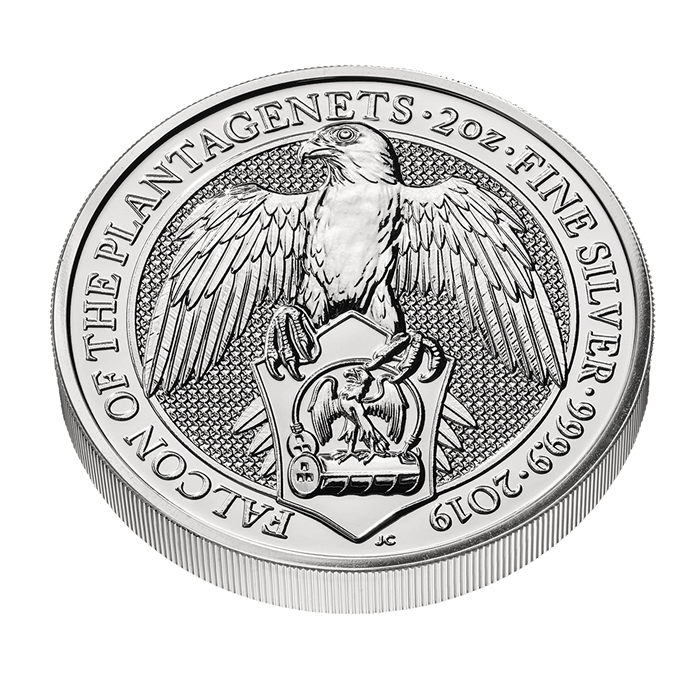 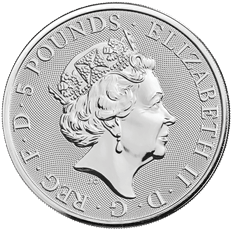 This two ounce silver bullion coin is the sixth addition to The Queen’s Beasts range. 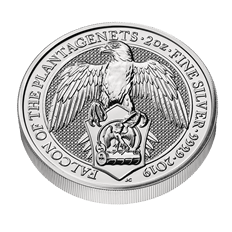 Inspired by ancient symbols of power and identity, the range brings to life the ten imposing statues that lined the entrance to Westminster Abbey in 1953 at the coronation of Her Majesty The Queen. 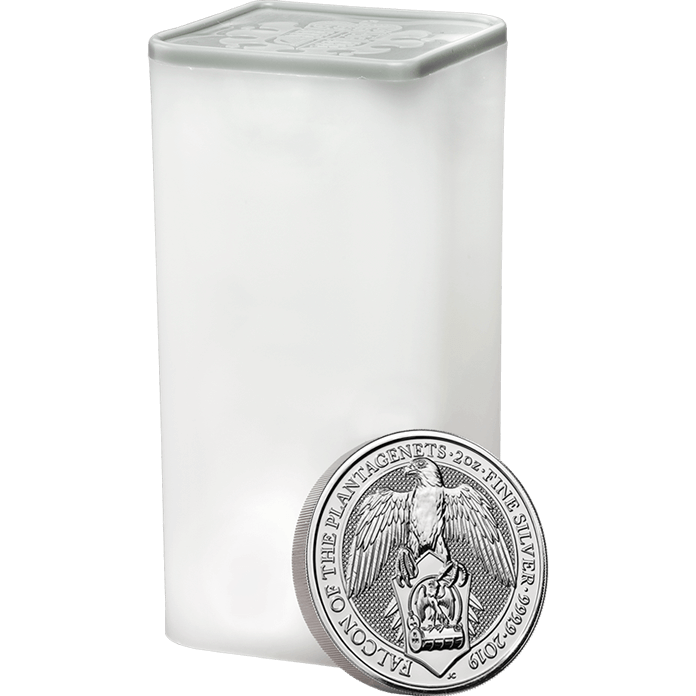 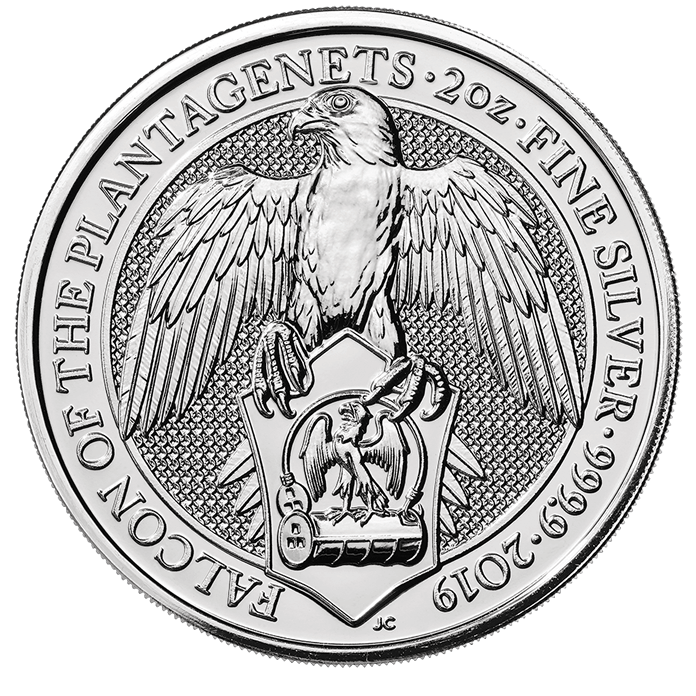 Following the success of previous coins in the collection, this silver two-ounce ten coin tube edition features another original design by Jody Clark. 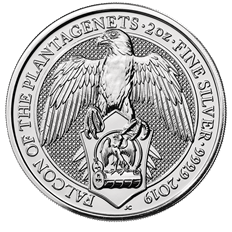 Majestic and imposing, the falcon perches on a shield, embodying suitability for high office.